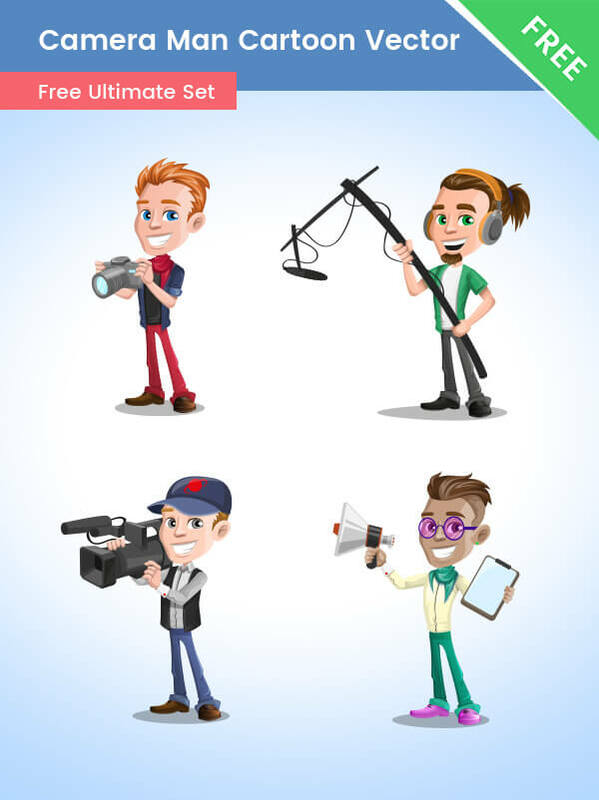 A set of 4 cameraman cartoon vector characters made in a modern cartoon style. All of them are made of vector shapes, so you can easily modify them to make them perfect for your design style. A Cartoon character holding a video camera on stage. A Cartoon man holding a loudspeaker to make everyone ready for filming. These characters are perfect for any movie, motion, and production related design. With the help of these filming characters, you can illustrate teamwork, well-organized production and more. All of these characters are available for free download and they will always be since this is our website’s policy.